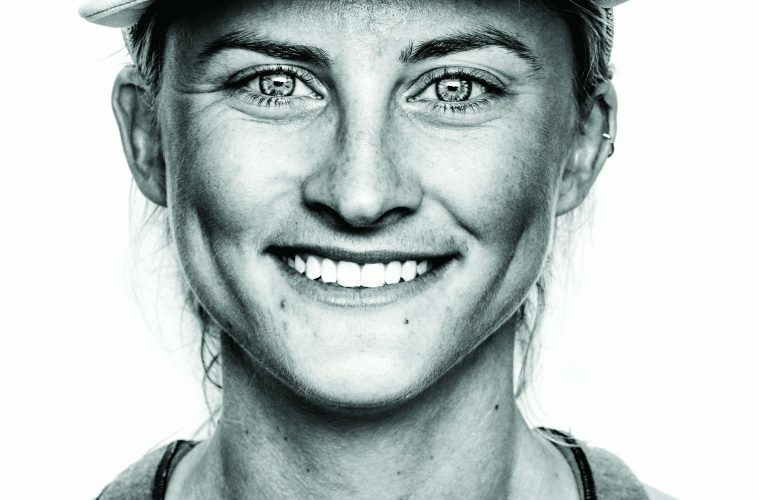 Clare Gallagher propelled herself into the ultra-running spotlight by winning last year’s Leadville 100, one of the country’s iconic long-distance trail races. Like fellow Boulder resident Anton Krupicka 10 years ago, Gallagher won the race on her first attempt at 100 miles and quickly signed on with a major sports brand. Following the win, the 25-year-old Princeton University graduate and former Division 1 runner set aside plans to pursue medical school and instead focus solely on running. We caught up with her after a session with the Rocky Mountain Runners to hear what she hopes to do with her newfound notoriety. The reason I am running for The North Face is because I won the Leadville 100. And that’s a huge life dream of mine. I’m definitely on a path because of that race. It basically means I have the opportunity to travel to races—but it’s definitely not paying the bills. Very few ultra-runners in the world can make a living off of the sport. It’s a huge misconception. You would die if you heard some of my Princeton peers. They are so funny. These are people working on Wall Street. They can’t count how much money they are making. And they think I’m living the dream. They’re not wrong, in being so stoked for me. They say: “You’re constantly traveling. You’re constantly running and skiing.” Sure, I am doing that 100 percent, and I wouldn’t change anything, but, like, I shovel snow for my rent. HONESTLY, How do you make a living? I tutor, I write, I work for my roommates to pay for my rent. What I’m really excited about in ultra-running and now that I am with The North Face is that if I take care of that like it’s my job—in dealing with my race schedule, training and everything—I can get a big enough platform because I’m winning or doing well. Then I can talk about other things that I find much more interesting. What do you want to use that platform to talk about? For me, environmental advocacy. Runners care about trail work. They care about having access to Chautauqua Park [in Boulder], where they run. But there are also bigger issues like climate change. I think I justify the way I’m living my life right now, at least in trying to be the best runner I can be, to eventually be able to talk about these things. in Thailand after college and rediscovered your love for running. What happened? I needed to get out of this really high-stress environment of college and running in Division 1. I moved to a tiny village in the middle of nowhere and showered out of a bucket for a year, removed from everything I knew that was normal. I quickly realized wow, how lucky I was being born into privilege. That sort of shut me up and put me in my place. I was stripped raw from a human standpoint. I realized running was a part of me that’s innate. I didn’t have any running community. I had no team. I had no pressure. But that’s what I wanted to do. You say you were underweight while running in college and that led to injuries and other challenges. What’s your message to young runners? The technical term is osteopenia, or pre-osteoporosis, which implies pre-brittle bones. You get an increase in stress factors. It affects your menstrual cycle because you are underweight. It’s really common among Division 1 athletes and very unhealthy. My message to, say, high school runners is this: You’re not going to be fast if you are underweight in college. And you probably won’t like running. Beyond the race calendar, what’s next for you? These opportunities to do more badass running-related philanthropy trips are huge for me. And I want to do more travel writing. I want to find a voice. It’s a voice different from this elite ultra-runner voice, which I’m very grateful for. But I have other voices that I think are actually more me. Have you shut the door on medical school? I definitely considered the idea of nursing, because it’s such an incredible lifestyle once you get through school. You know you can work three times a week. They are hard shifts. They are long shifts. But that’s helping people. So who knows? If I destroy my legs somehow in the next two years, I wouldn’t be surprised if I jump into school again. Russ Rizzo is a freelance writer and co-founder of Dispatch Radio, a Boulder-based outdoor adventure podcast covering the world of outdoors. To listen to Clare Gallagher discuss her running career and upcoming plans to ski the Grand Traverse with teammate Hillary Allen, tune in on April 3 at dispatchradio.com.